Another project for graphic design at AAU. 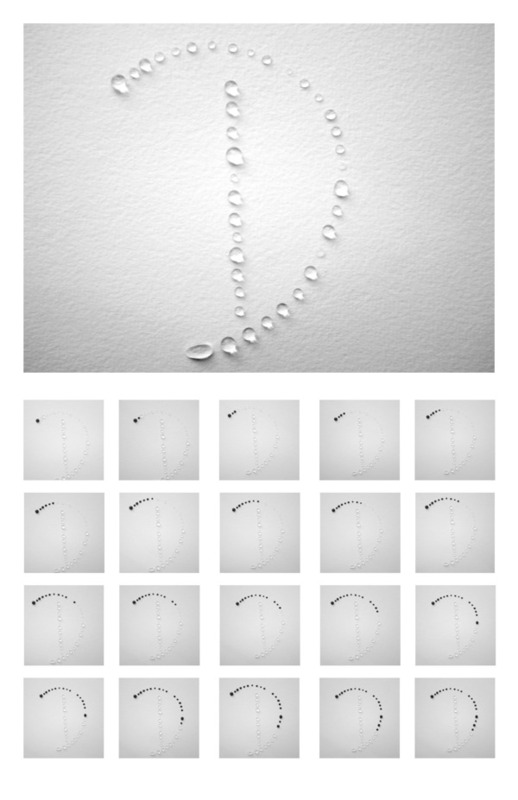 The assignment was to take any theme, could be natural or otherwise (I chose rain), and make typography out of it. Other students used iron filings (magnetism), ice cubes (ice), and so on. I chose "rain", and since it almost never rains in Northern California, I put drops of water on paper and then put ink in each drop. Liking the resulting visual, I took progress photos for each step.